Over the past two years, I have been lucky enough to have not only one, but two younger brothers in my life. However, only one of them I’m actually related to. The other I was fortunate enough to gain by becoming a volunteer with Big Brothers Big Sisters. 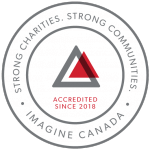 The main goal of Big Brothers Big Sisters is to provide children and youth in Canada that struggle with societal barriers and face adversities in their lives with a mentor to provide guidance and support in hopes of reminding the youth that they can be anything they dream of being, and the circumstances they face have nothing to do with the value of who they are. When I picked up and moved to the other side of the country for university, I wanted to become more involved with the province I was now living in. I had heard of Big Brothers Big Sisters, but didn’t know a lot about the program. I figured that since I enjoyed working with children, the program would be right up my alley. I wasn’t sure what kind of mentor I would make, but I really just wanted to be someone in a young person’s life, someone who I needed when I was growing up. Little did I know that volunteering with Big Brothers Big Sisters would actually change my life, and actually help me decide on a career path, and make a life-long friend. I was fortunate enough to have a younger brother who impacted my life in so many ways. 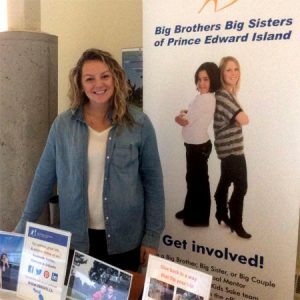 As a Big and Little, we participated in a variety of actives, from skating, swimming and other varieties of sports, to attending the Jack Frost Festival and the summer exhibition in Charlottetown, PE. But we also spent time simply being together baking, doing homework, and colouring. No matter the activity, I was always privileged to be able to spend time with such an incredible young person. He reminded me on the daily to enjoy life and be young at heart, and taught me so much about friendship and what it means to be a mentor in life. In 2017 I have also been fortunate enough to become a member of the National Youth Council of Big Brothers Big Sisters, and attend the national convention in June of 2017. The convention was an incredible experience as I heard and spoke with guest speakers, people from all over the country involved with different Big Brother Big Sister agencies, and my fellow youth council members who all have different roles and are all volunteers with Big Brothers Big Sisters. This was the first year that they created a youth council, in hopes of youth involvement becoming more prominent, and it was an amazing opportunity to feel as though we as youth had a voice, and a say. Big Brothers Big Sisters is a program, that I am not only privileged to call as a mentoring volunteer experience, but I am so fortunate to say that it has contributed overall to who I am as a person. To my mentee, as well as all the Bigs and Littles out there, and everyone involved with the program: never stop what you are doing, this program- and mentoring in general is impactful in so many ways. And for those people who may be thinking of becoming involved with the program, absolutely do it. We become the lucky ones, getting the opportunity to spend time with a young person and hopefully help shape them for the better. It will change your life for the better, as well as a young person’s- someone who has such a bright future, but just needs you to provide a little extra support and guidance.